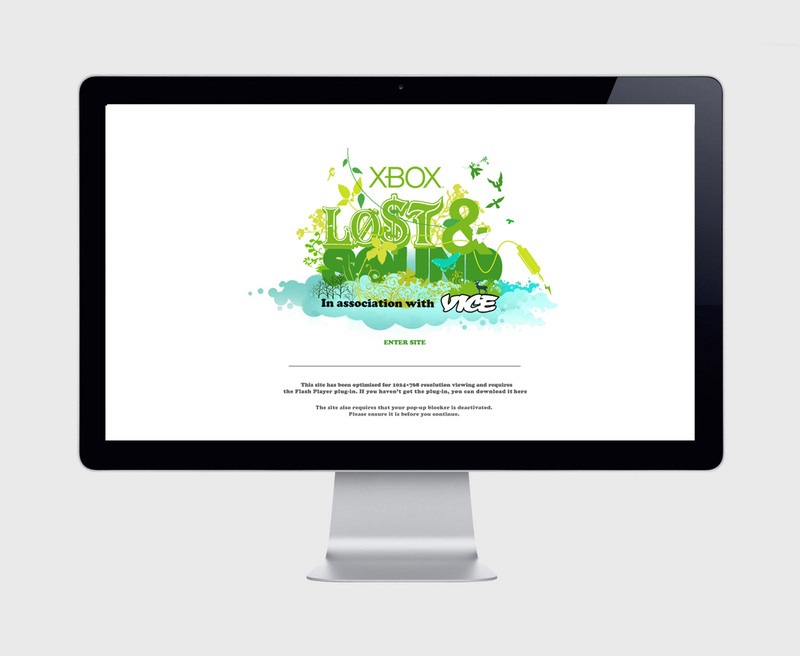 We were commissioned by Neon Comm to create a website for Xbox’s first ever Lost & Sound Summer Music Festival. 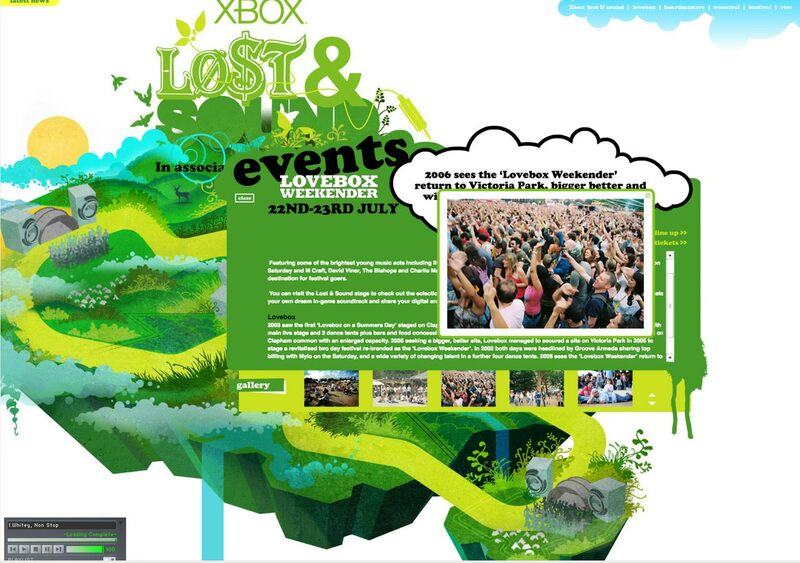 The tour bought a fusion of music and gaming to four festivals across England in a unique caravan stage and featured some of the brightest young music acts like Jim Noir, Cazals and Pipettes. The idea of nature taking over our cities and spawning a festival utopia became our theme. We commissioned infamous game artist Dan Malone (Speed Ball 2, Chaos Engine) to create the Lost & Sound map in which visitors to the site could track the caravan and interact with content as it moved from location to location for the duration of the tour. 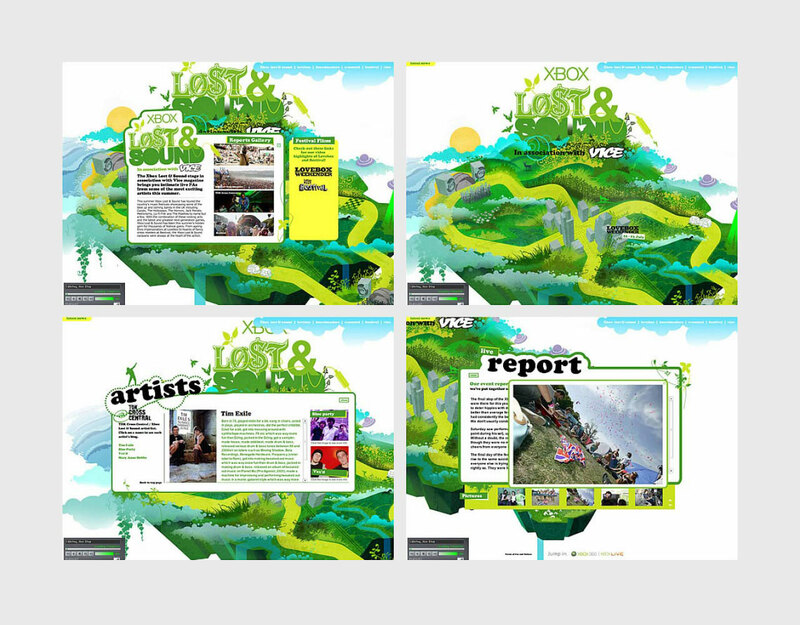 Live updates and other additional content were added as the tour progressed. 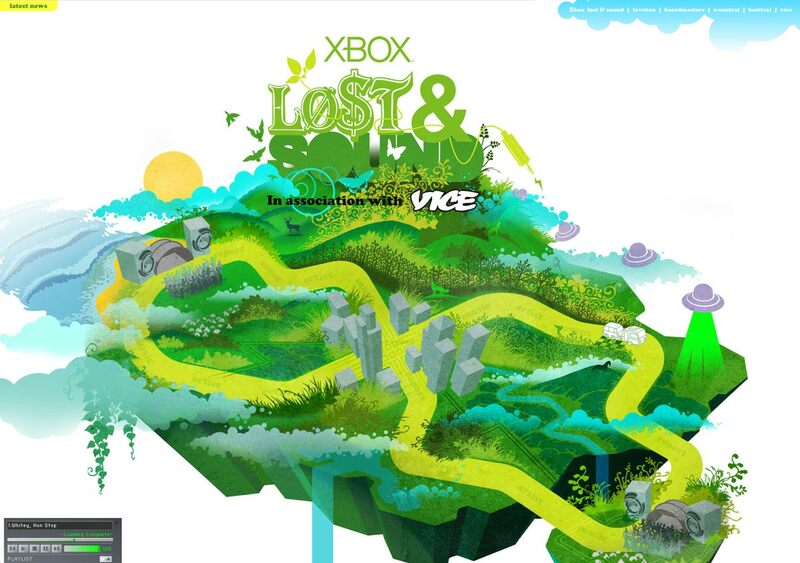 The playful gaming experience along with custom animations made exploring the map more fun and engaging.